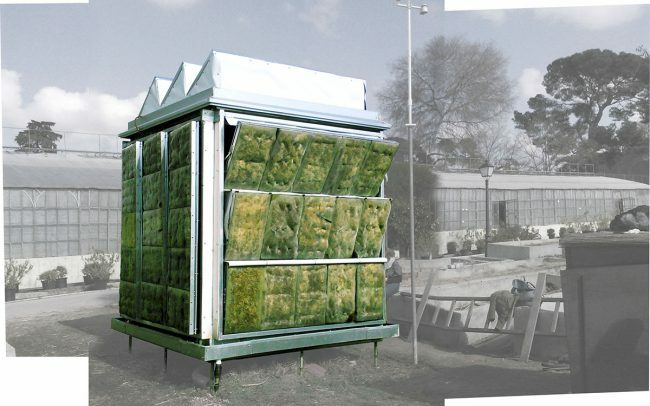 The Bryophyte Building Envelope Project is focused on researching a new innovative bio-based smart living system for the building envelope that is able to improve the thermal balance in buildings, therefore creating an energy efficient skin and capable of generating a healthier indoor environment for people inhabitancy. The investigation delimitated few species among different greenery organisms, which proved their competitiveness as building green façades. A wireless sensor network to be integrated into the whole system was developed for real-time monitoring ambient conditions. 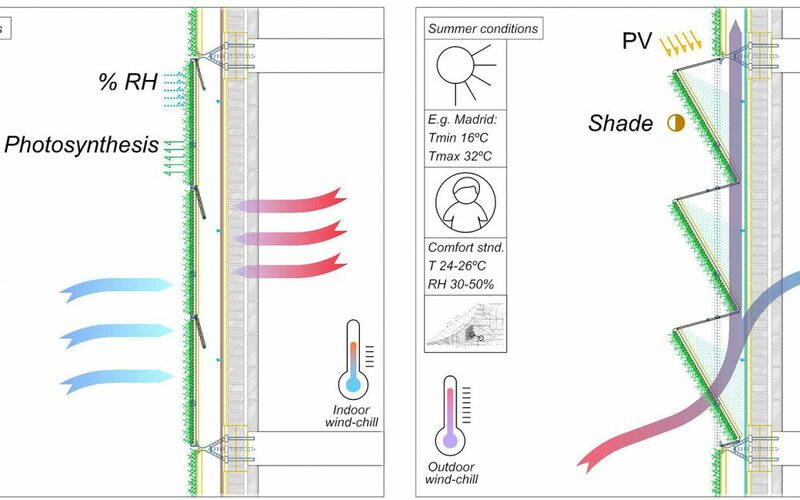 From the very beginning, ICT devices were used for adjusting the proper behavior of the building envelope in terms of energetic balance and wind-chill. 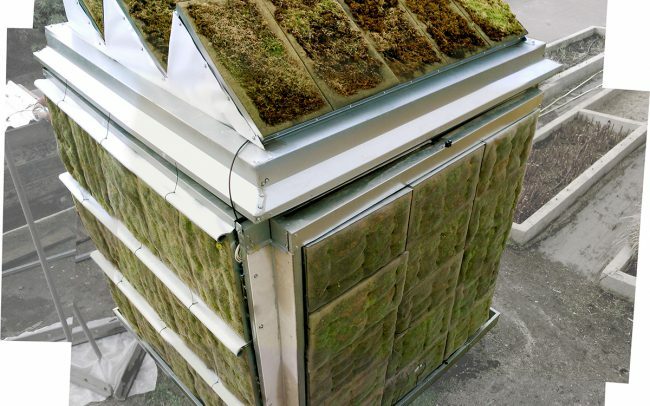 The development of this smart building envelope system is based on an articulated green breathable enclosure using a bio-material which the main component is formed by a combination of living mosses. 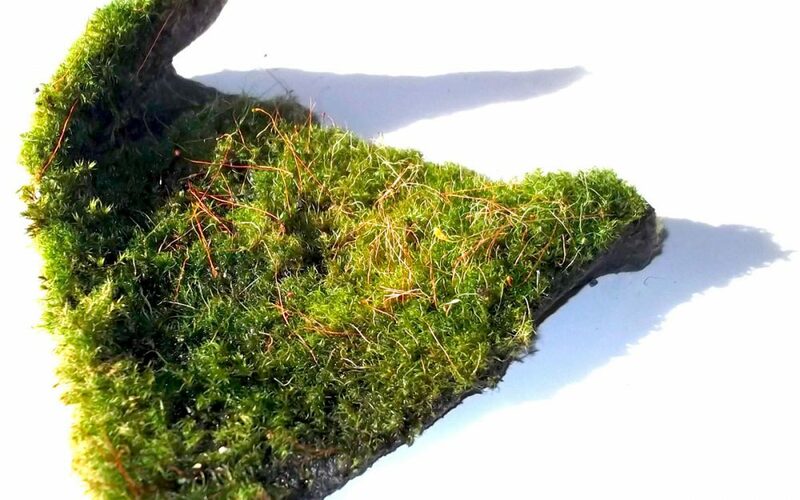 In this regard, bryophytes were chosen as the most suitable vegetation organisms, capable of performing natural bio-regulation with high rates of relative humidity and temperature control. As part of the study, selected bryophytes varieties from different genus –such as Eurhynchium, Funaria or Ceratodon- are grown over different textiles and fiber surfaces analyzing their adaption to climatic conditions. 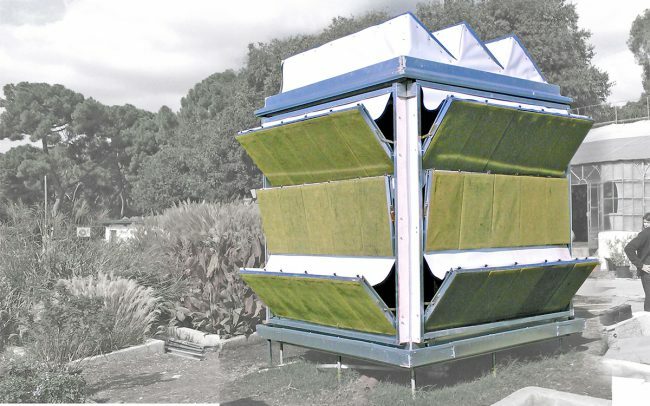 Being the solar exposure and relative humidity the most challenging parameters to take over, the building envelope was designed to be incorporated into an architectural system that could provide greenery with the needed shading and moisture retention, depending on the weather. 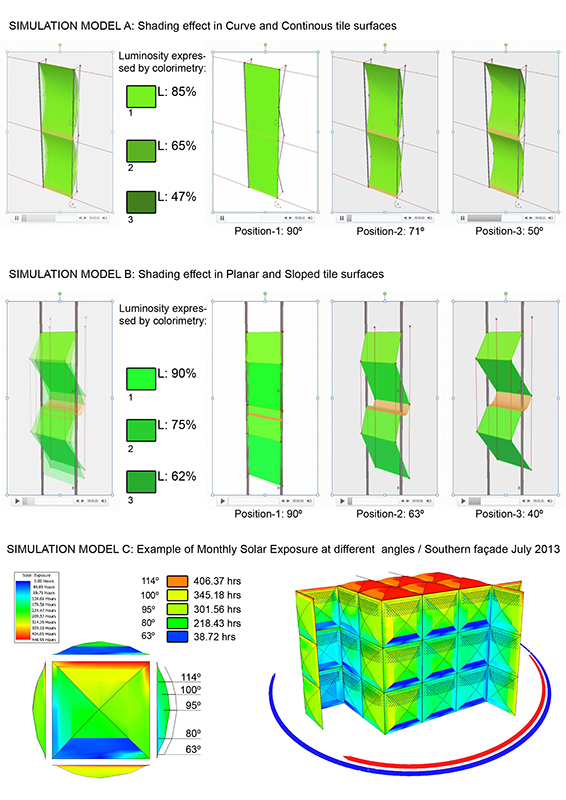 Virtual simulation of these magnitudes was carried out to anticipate applied results, as shown in the model examples. 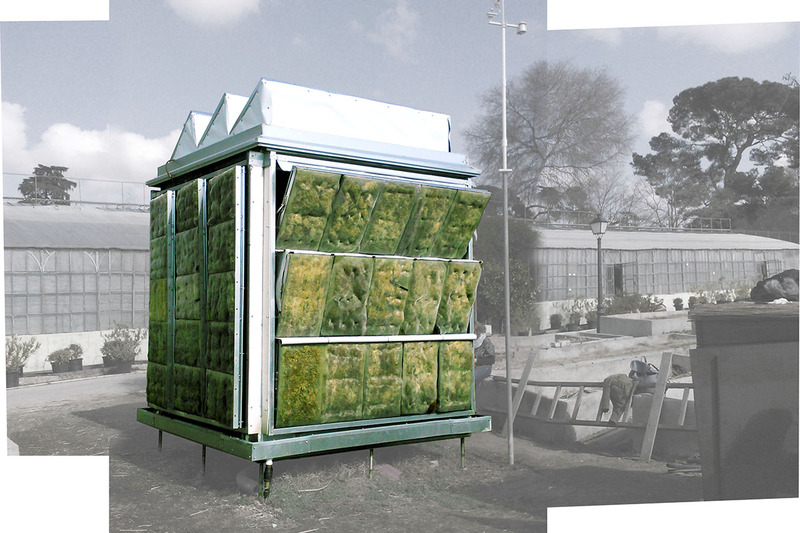 Afterwards, most suitable combination of bryophytes and supportive layer is tested at building conditions: a real-scale prototype –moss cube- was built for recreating the bryophyte building envelope at the five exact solar exposures: south, east, north and west façades and roofing. Each façade being independent, optimal conditions of operation were carried out by the control and monitoring of indicators by means of multi-sensor motes within and close to the material and in the inside chambers too. Since the living system is addressed to energy efficient improvement it is designed to be adaptive to the environmental variations, for that reason the building envelope allows changing orientation for taking advantage of the weather conditions. It is an active element that reacts to real-time monitoring of both indoor and outdoor ambient regarding human wind-chill. The monitoring network is coupled with an actuator platform that will control the façade adaptability in the future. 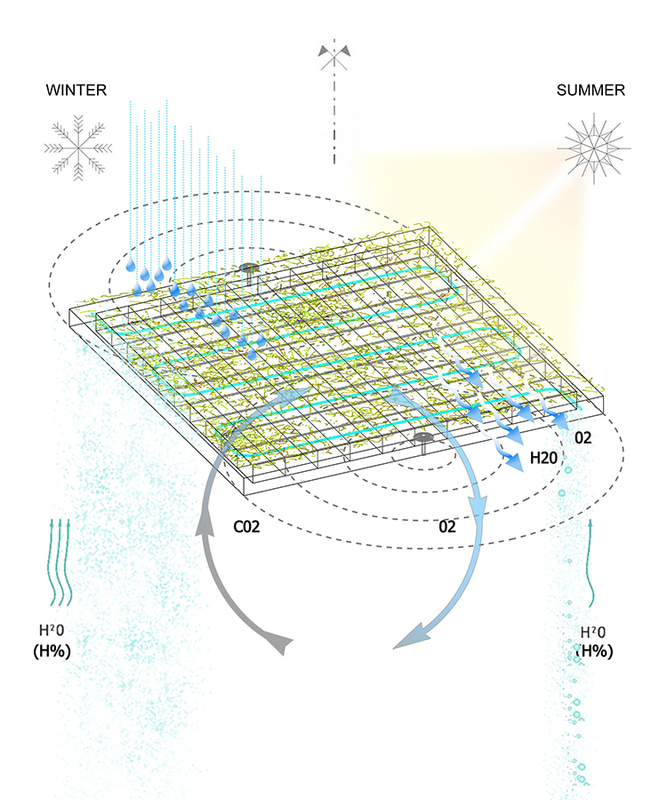 The complexity of the system is partly owed to irrigation net and to sunlight exposure control for allowing the bryophytes to grow, in this approach vertical position was confirmed to be more conditioning than roofing and thus concentrated the efforts. During the prototype testing, the flexible solution developed allows studying the advantages of the roof slope and the angle of inclination required by each façade at every moment of the year. Differences between each orientation are evident and testing confirmed that no movable structure was required in the northern façade while southern exposure demanded up to 60 degrees for self-shading. The image below shows winter thermography taken at dawn, no artificial heating is used. 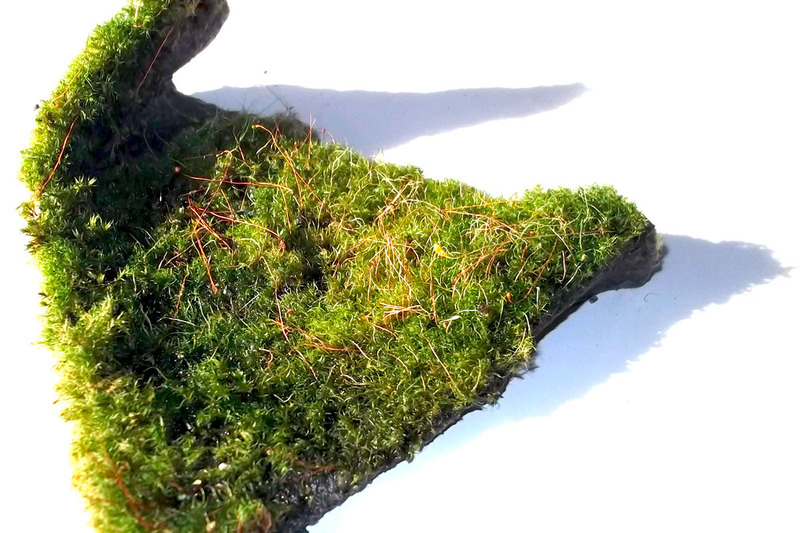 Analysis proved that surfaces covered with dry moss keep higher temperature than inert surfaces. Cold areas in blue correspond to very wet moss-tiles. 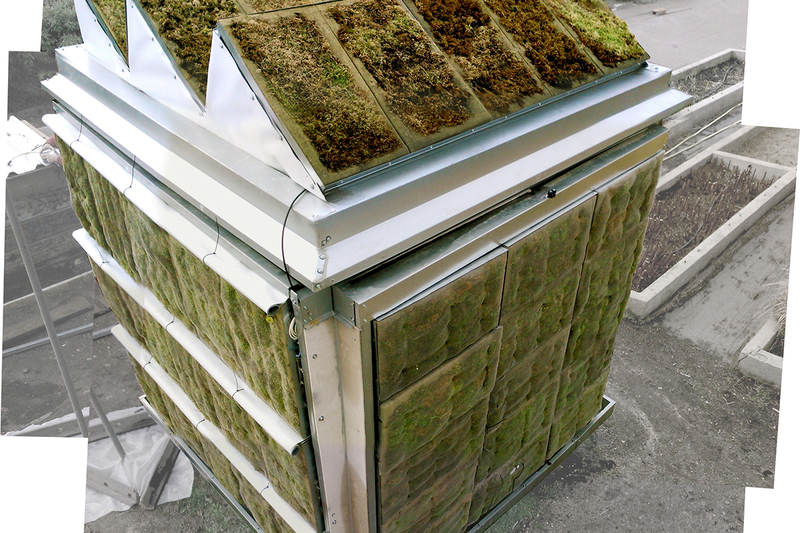 As part of the benefits of the bryophyte building envelope the urban impact expected is noteworthy. 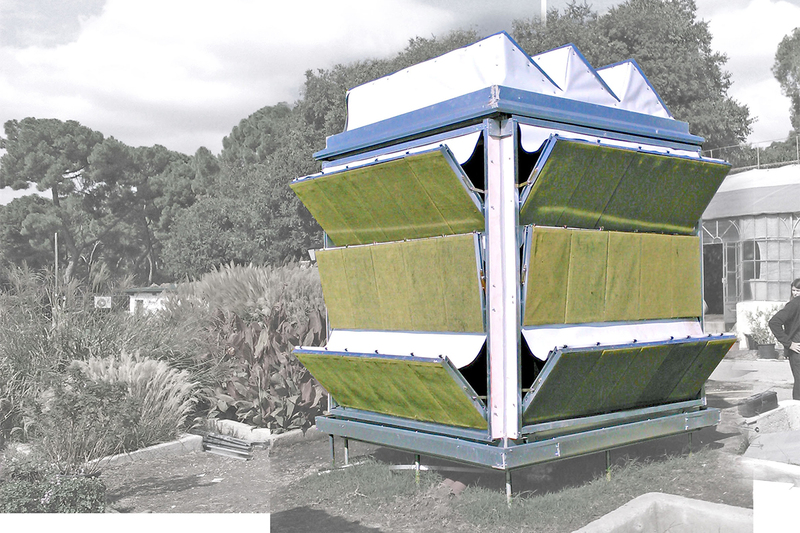 The installation of this system at building refurbishment and also at new constructions will help to minimize greenhouse emissions (Solga A., Burchardt J., Frahm J.P, 2006), it will filter particulate matter, heavy metals and other pollutants present in our cities (Frahm J.P, 2002; Glime J, 2007) and reduce the heat island effect (Hoyano A., 1988), rainwater run-off and noise impact on housing in the building and its surroundings.